Secluded in the continent’s northeast along the Atlantic Ocean, it’s sometimes easy to overlook Halifax, but that’s changing because the city’s real estate market is showing signs of buoyancy not seen in most of Canada last year. Through November, the Halifax-Dartmouth region had 5,927 residential sales, which may seem paltry on the surface but in fact represents a 6.1% increase over the previous year. According to Donna Harding, a licensed partner of Engel & Völkers Halifax, the region’s sales boost is being driven by retirees and international buyers, which is perhaps unsurprising given Nova Scotia’s position on North America’s perimeter. 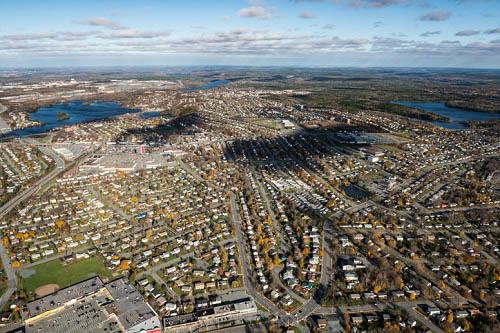 A lot of smaller markets throughout Canada struggled under the weight of the B-20 mortgage rules implemented 12 months ago, but Harding says Halifax isn’t among them because housing is still affordable for the majority of its residents. Clinton Wilkins, a mortgage broker with Centum Home Lenders Ltd. in Halifax, echoes Harding’s assessment of the city. Consider that through November 2018, the average price of a residential property in Halifax-Dartmouth was $302,228, a 1.9% over 2017, and that in Toronto the average price of a home was $788,345. Is Toronto's red-hot market waning?